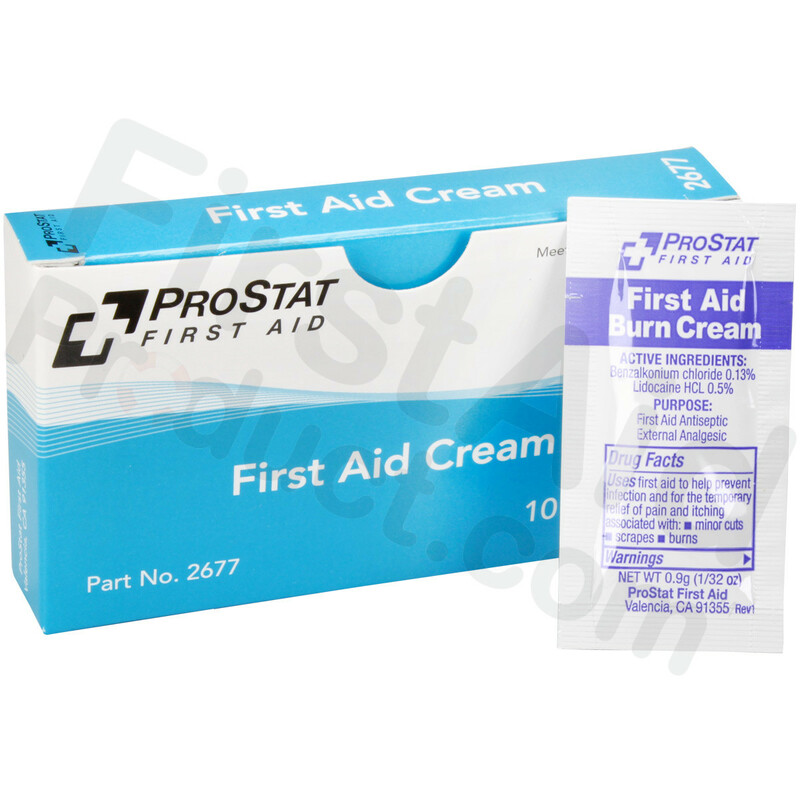 This single unitized box, that fits any first aid kit, contains ten packets of first aid burn cream. 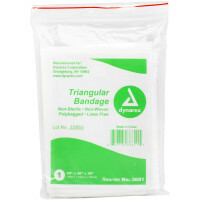 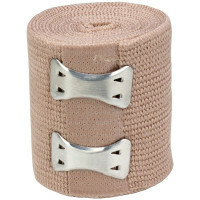 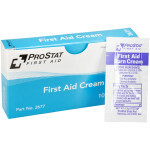 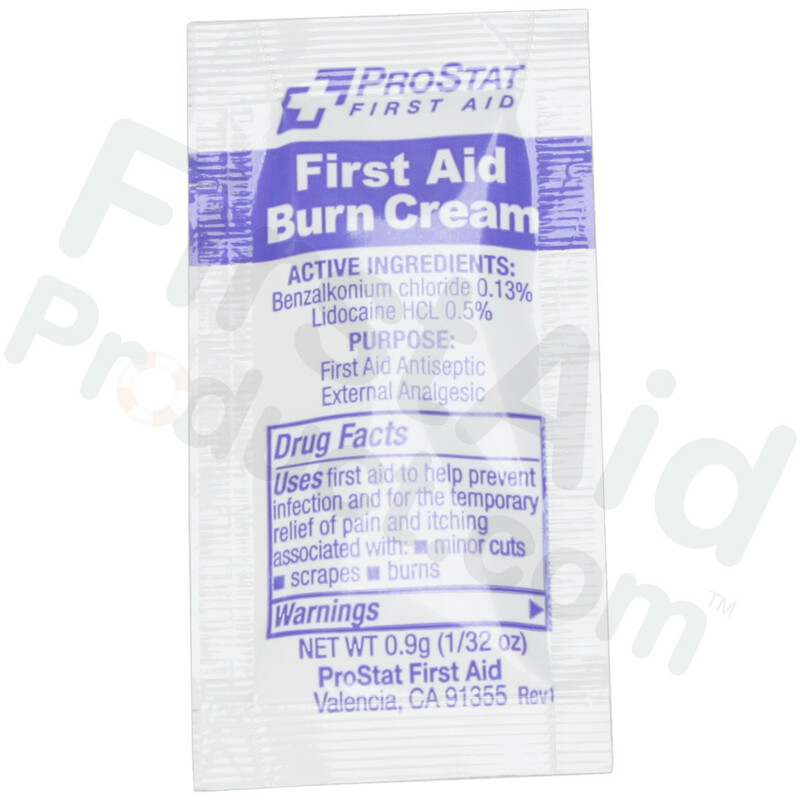 This first aid burn cream is perfect for minor cuts, burns and abrasions. 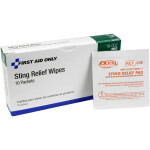 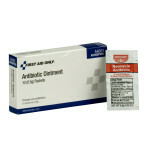 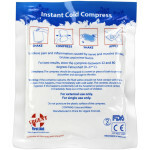 This antiseptic and external analgesic helps prevent infection, relieves pain, and provides temporary relief. 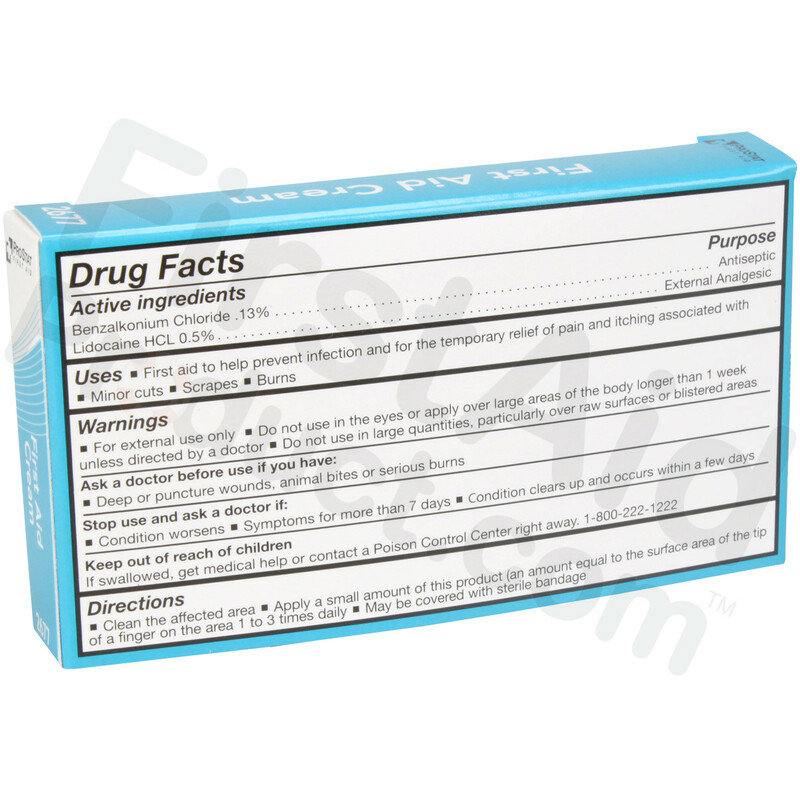 Unit dose packages provide quick and effective application without cross-contamination. 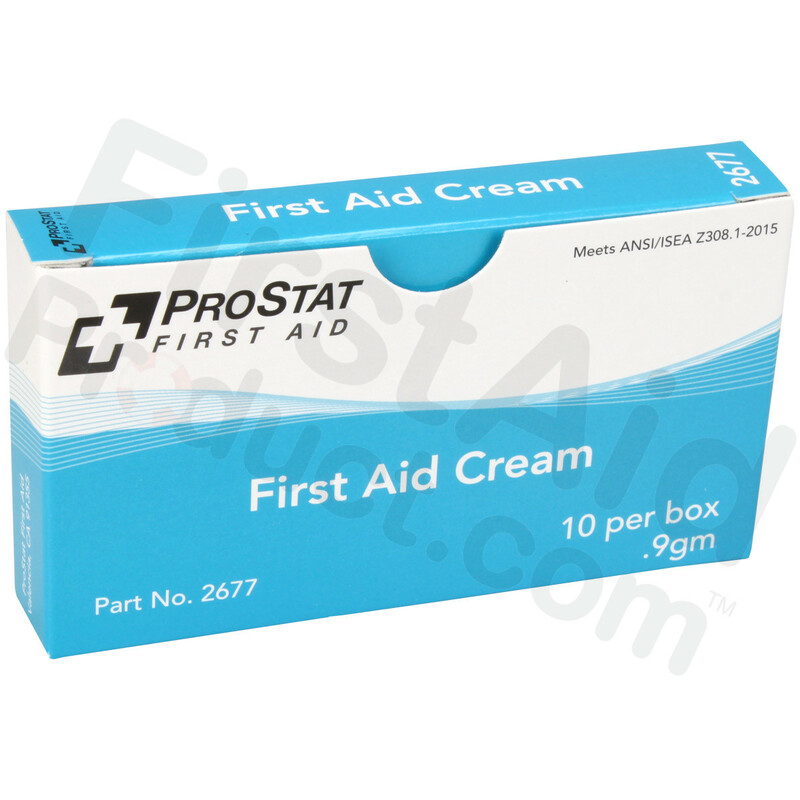 First Aid Burn Cream, 0.9gm, 10 packets per box.